Ships tomorrow if you order in the next 19 hours 52 minutes. Auto Ship & Earn + 125 Points What's this? Sore throats are a common part of cold winter months, as well as summer months when airborne irritants may be at a higher level. 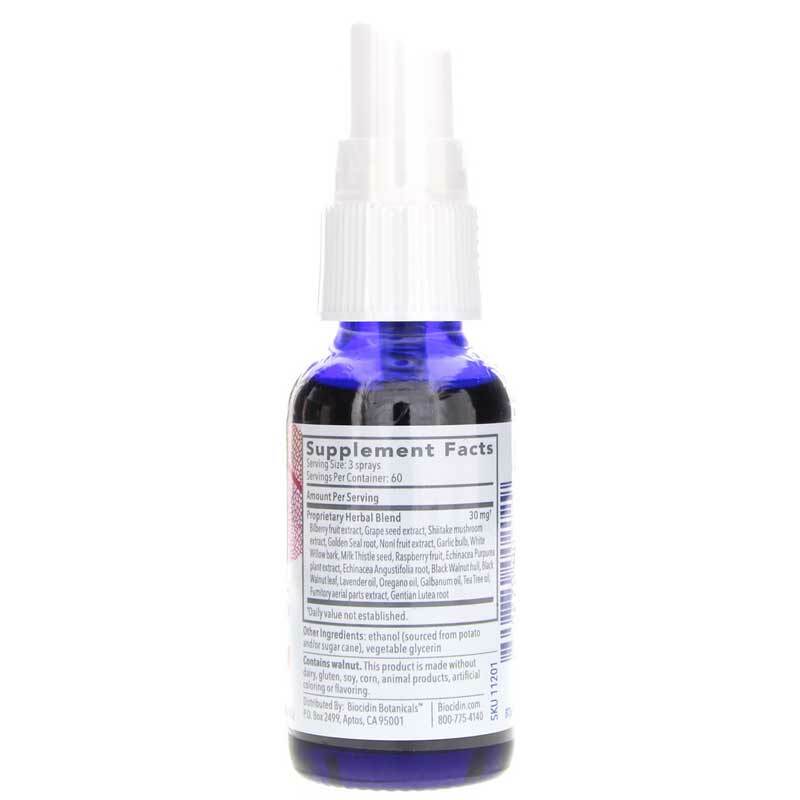 If you've been looking for reliable all-natural relief, Bio-Botanical Research offers a great option. 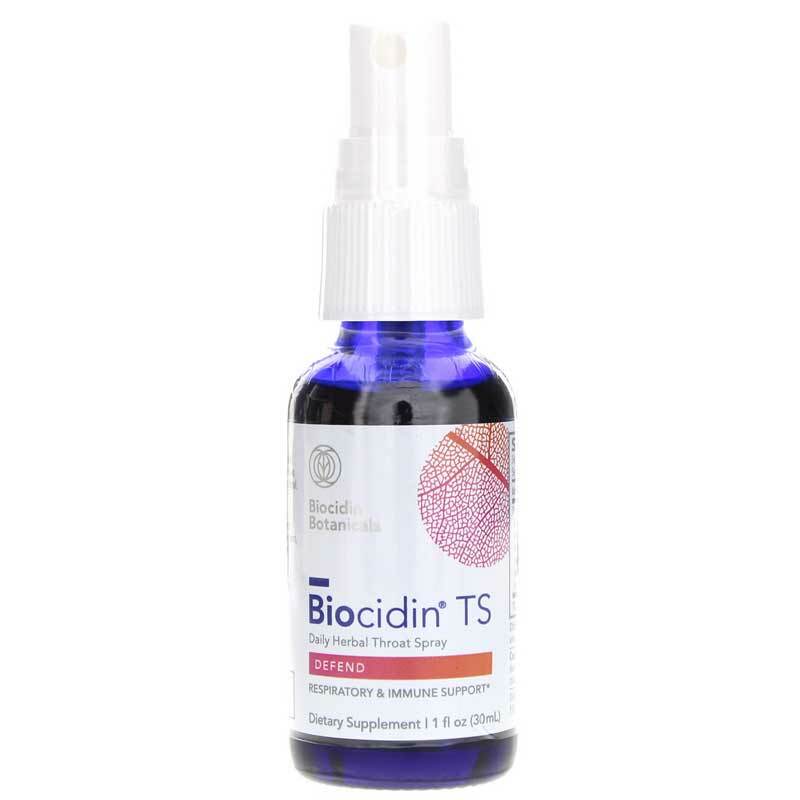 Biocidin TS is a dietary supplement spray that contains a mix of botanical ingredients that helps soothe your throat and promotes optimal winter wellness. Every bottle of Biocidin TS is made without dairy, wheat, gluten, sugar, soy, animal products, artificial flavors, or artificial colors. Don't let a sore throat keep you out of commission. Give Biocidin TS from Bio-Botanical Research a try today, and see the difference it may be able to make for you. Order yours now and start feeling better sooner! Contains NO: allergens such as dairy, wheat, gluten, sugar, soy, preservatives, animal products, artificial flavorings or colorings. 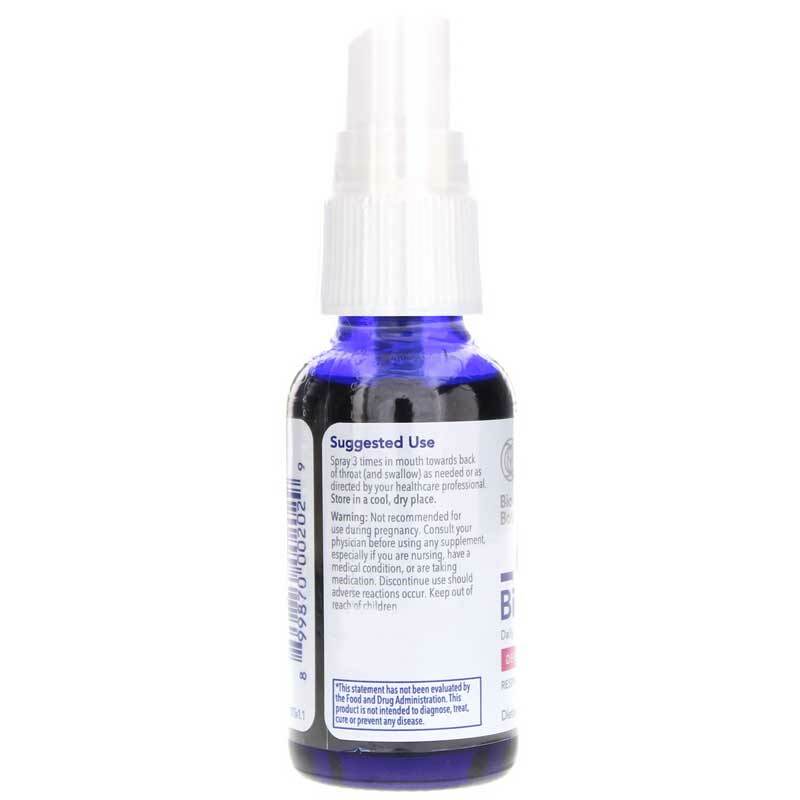 Adults: Spray 1 to 3 times in mouth towards back of throat as needed or as recommended by a healthcare professional. Do NOT use if you are pregnant or nursing. Keep out of the reach of children. I use this throat spray at the first sign of a tickle in my throat and it is amazing. What used to last for days and go to laryngitis or worse is no more. I use up to 3x per day and back off as throat feels better until only use at night until no more throat issues from drainage. I am so glad my naturopath recommended it to me a couple years ago. For the head cold part or sinus infection, nothing is better than steaming. Nothing.